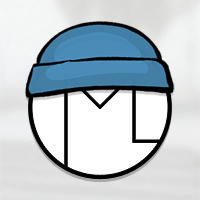 November 30th 2010 marks the annual Blue Beanie Day; the day where people who support web standards show the world that they do so. It’s easy to show your support for web design done right. Beg, borrow, or buy a Blue Beanie and snap a photo of your mug wearing the blue. (Or get creative with Photoshop). I’ll be wearing a blue beanie tomorrow today. And on the web, I have dressed up my new logo for it.